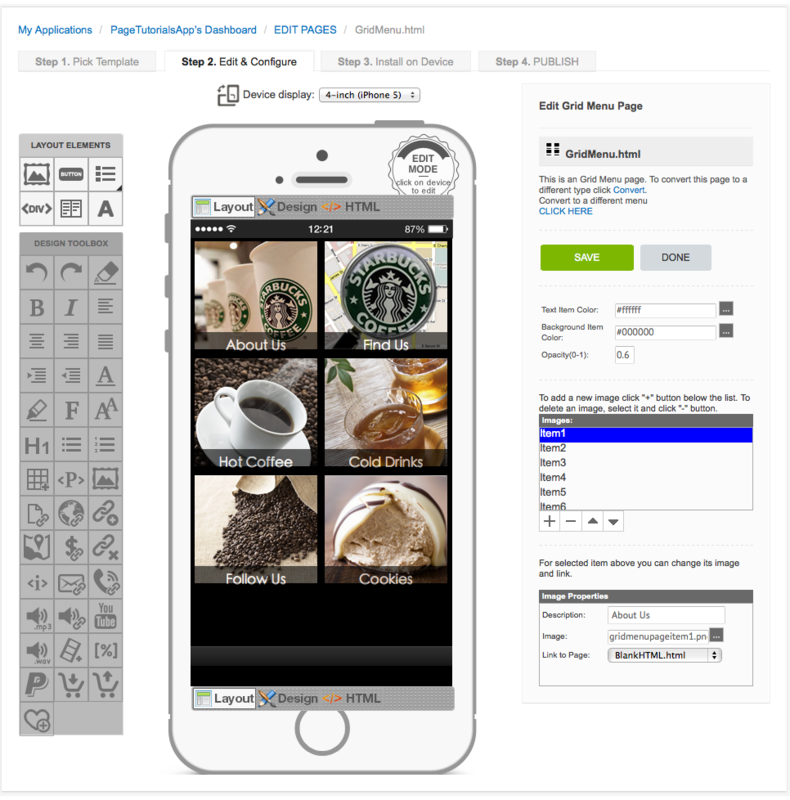 This style of menu page features square buttons with a bordered photographic image. 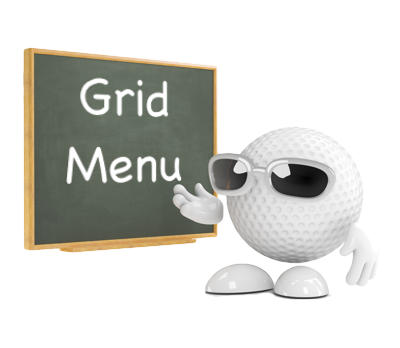 Each button on a 'Grid Menu' page features a line of editable text at the bottom. Each button can also be configured to link to another page or execute a specific function.